FAYETTEVILLE, Ark. Bret Bielema will leave Wisconsin and become the new coach at Arkansas, CBSSports.com has confirmed. Bielema will sign a multi-year contract soon, according to a person who spoke to the Associated Press on condition of anonymity because the school had not yet made an official announcement. The move was the second stunning hire at Arkansas, which brought in John L. Smith after firing Bobby Petrino earlier this year after a scandal in which Petrino hired his mistress to work in the football department. "Bielema is known for his defensive-minded, tough-running squads that produce 1,000-yard rushers like a Pez disenser," says CBSSports.com's Dennis Dodd. "He seemingly has no ties to Arkansas or AD Jeff Long who conducted the search." The news was first reported by Pat Forde of Yahoo! Sports. ESPN.com reported that Bielema will remain with the Badgers for the Rose Bowl. Arkansas was 21-5 the last two seasons, but went 4-8 this season under Smith. Athletic director Jeff Long announced after the season that Smith would not return. 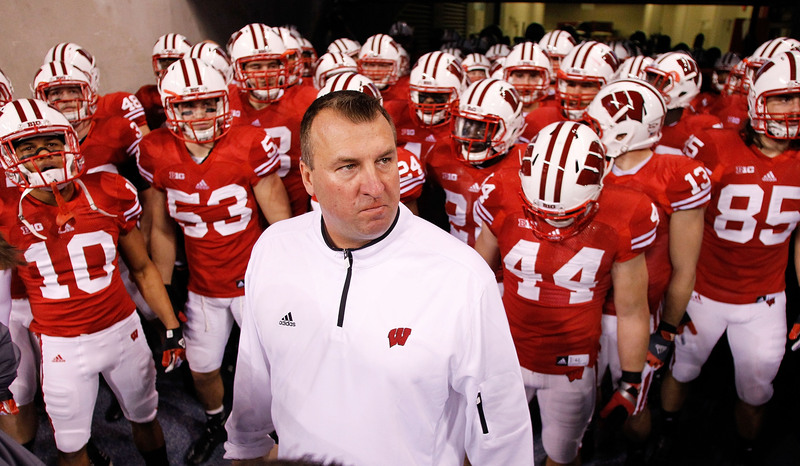 Bielema was 68-24 in seven seasons at Wisconsin, including an 8-5 mark this season.